What another awesome inspiration this week! of the gorgeous yellow and black creations.. I was so inspired I think I made 5 cards with that color combo! all of the DT creations up close. 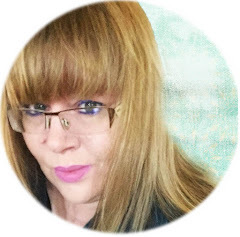 I hope that you are inspired to CREATE! You do NOT have to make a Christmas card... no Anything you can dream up using the color or the sketch or the combo. I can't wait to see your creation in the FUSION gallery! Hey.....Doesn't it look like you can reach out and touch this card???? I like when that happens!!!! at the Multi Crafters Garage Sale --YAY! 1. Play with just the sketch challenge. 2. Play with just the inspiration photo challenge. 3. Or you can create FUSION by combining BOTH challenges into one card. 4. 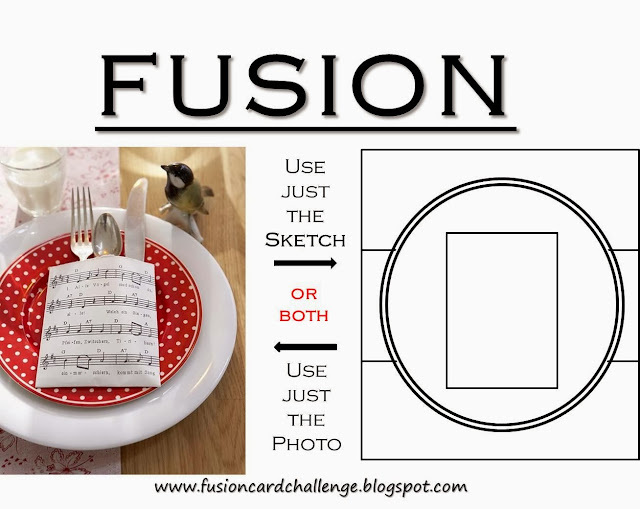 Use the challenge graphic and link back to Fusion in your post. 5. Please read the other considerations on the Our Rules Page before playing along. And the Fusion Design Team that starts the ball rolling! Check out their Creations and leave the love! and that you in turn will add to the FUSION Gallery! and add your wonderful creation!!! Christmas Card - Use Flowers- I did, I did!!! ALSO NOTE: Paper Crafting Challenges still is having the MY FAVES challenge for one more week!!! FAVE Style, Stamps, Technique... Have FUN with it!!! Love ur fun and musical design, those glittery flowers are an amazing touch !! Beautiful Christmas Card! 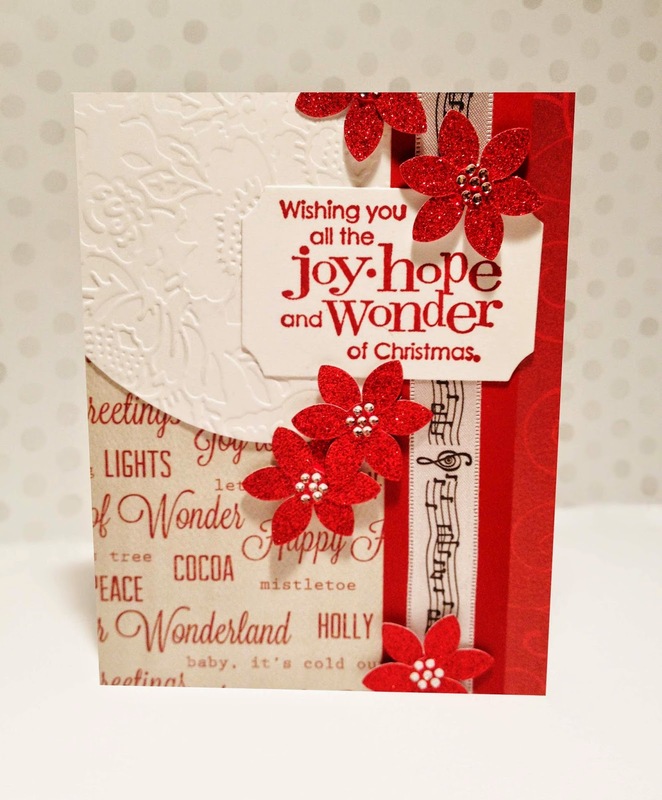 I love the embossing, the glittery flowers and the music notes! Very Nice. Such a beautiful card, Kimberly! It is always so great seeing your cards in the Merry Monday gallery! Thank you for joining us! These shimmery flowers are so pretty, Kimberly! I love everything about this card! Thanks for sharing this with us at Merry Monday! Totally Gorgeous! The glittery flowers are so beautiful and love all the layers you added to your card this week! Thanks for joining us at Merry Monday! what a bright and festive Christmas card Kimberly! love your beautiful flowers and the embossed white circle - and thank you so much for my lovely thank you card! what a nice surprise to find it in my mail box!! Beautiful card, I love the glittery flowers. Thank you for joining us for Merry Monday. Wow! Delightful Christmas card Kimberly, love every design detail. Thanks for sharing at Merry Monday. Beautiful card. Love the shimmery flowers. Love this, Kim! Very sweet, I adore that sentiment! So glad you could play with the MM players this week! So fun...what a fabulous card! LOVE this CAS(E) this sketch !! Merry Monday#110 - Cookies for Santa! THE CHALLENGE #7 - Booyah! CASology - #96: Bee ! Hero Arts -Blue and Chartreuse! Wish upon a Star - CAS(E) this Sketch! CASology - #95: Flower ! Thanks so MUCH - Colour Me! Garage Sale Goodies -Colour Me Thankful! Happy Birthday Sandie - of London Days!! Paper Crafting Challenge #10: - "My Faves"
Thinking of You - Seize the Sketch! CASology - #94: Splash ! Birthdays are like cats -THE CHALLENGE! Retro -One Layer - Birthday! Colour Me - Paper Players Mother's Day! Merry Mondays - All is Calm All is Bright! The Card Concept - More Clearly Besotted Stamps! Joy and Stars - Festive Friday!